Keeping your smile healthy and beautiful for a lifetime! 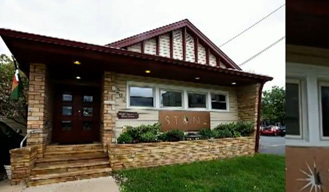 At Stone Aesthetic Dentistry, we are committed to providing quality restorative and cosmetic dentistry, and outstanding patient care to the area of Alexandria. Dentist Dr. Richard Stone and our attentive, qualified staff excel in all areas of dental care, providing comfortable, and predictable smile solutions. What sets Dr. Stone’s practice apart are his respect for patient desires and goals in their own dental health, and his ability to make them happen in such a way that maximizes their comfort in a timeline that is convenient for them. We take dentistry to the next level by using cutting-edge techniques and technologies for every procedure. Dr. Stone and our staff proudly stay current in all of the latest advancements in today’s dentistry through extensive continued education. Our staff has the expertise to combine all areas of dentistry for maximum oral health, total body wellness, and a naturally beautiful smile that lasts. 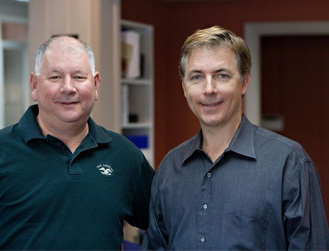 Dr. Stone is constantly growing and learning in the field of dentistry, which is evident when you visit his practice. His dental education goes beyond traditional dentistry. In 2012, Dr. Stone graduated from the Las Vegas Institute for Advanced Dental Studies in Summerlin, Nevada. Dr. Stone is continuously in pursuit of advanced dental education. It’s important to us that each and every patient is completely at ease throughout their experience in our office. We hope you feel as if you were right at home, experiencing wonderful amenities in a warm and soothing atmosphere. Our caring dentist and staff will also help you feel comfortable with your treatment by making you an active participant in any treatment plan, and paying attention to all of your questions and concerns. Dr. Stone listens to what is important to you about your smile in both aesthetics and functionality before introducing any treatment solution. Experience what quality general, restorative and cosmetic dentistry in Alexandria is all about. Contact Stone Aesthetic Dentistry to schedule your consultation with Dr. Stone today! Get to know Dr. Stone and learn more about our practice. Find all our patient forms online. It's so convenient! We truly value our patient family. Read what they have to say about us!